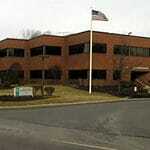 News Archives - Princeton Orthopaedic Associates, P.A. Bridgewater resident Martha Barrett endured knee pain for nearly 25 years. Then the former college gymnast met with Brian Vannozzi, MD, a board-certified orthopedic surgeon at Princeton Medical Center’s Jim Craigie Center for Joint Replacement and a partner at Princeton Orthopaedic Associates. Together they agreed on a total knee replacement. She had had nine surgeries…Read more. Dr. Jon Ark has been elected Chairman of the Department of Orthopaedic Surgery at University Medical Center of Princeton at Plainsboro. Dr Ark is now Chairman of the newly formed Department of Orthopaedic Surgery. The Department was created when Princeton HealthCare System merged with the University of Pennsylvania Health System. Dr. Ark graduated with honors…Read more. 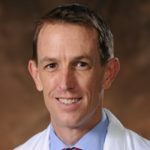 We are pleased to announce the addition of Todd M. McGrath, MD, as a non-operative sports medicine specialist joining Princeton Orthopaedic Associates. Dr. McGrath graduated from New Mexico State University and received his medical degree from Texas Tech University School of Medicine. He completed his residency in emergency medicine at Drexel University College of Medicine. …Read more. Penn Orthopaedics and Princeton Orthopedic Associates have announced a new strategic alliance in an effort to enhance and continue to improve orthopaedic care to patients in New Jersey and Pennsylvania. As part of the Penn Medicine Orthopaedic Specialty Network, physicians and surgeons at each entity will work collaboratively across state lines to expand patients’ access…Read more. Hurt your shoulder in your Friday evening tennis league? Have an orthopaedic injury that just happened? Did your daughter hurt her knee in her Saturday morning Soccer game? Princeton Orthopaedic Associates is excited to announce the re-opening of our Saturday morning Urgent Care for Orthopaedics. The Practice you have entrusted with your orthopaedic care over…Read more. 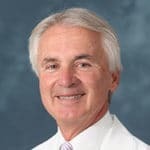 W. Thomas Gutowski, MD, Named Medical Director of The Jim Craigie Center for Joint Replacement. The Center was named to acknowledge a generous gift from Jim Craigie, CEO of Church & Dwight Co., who had both hips replaced at the former University Medical Center at Princeton. He was so pleased with his care that he…Read more.